Image from ADF’s website found here. Co-teaching grad students Josh Anderson and Gina Hoch-Stall opened their last Contact Improvisation class of the semester to the other students on Monday and it was a wonderful sharing of form, ability and spirit. The open class was an inclusive and attentive culmination to the semester. The warm atmosphere reminded me of the first time I had ever been to a Contact Jam, maybe…the summer of 2002 at American Dance Festival. Jenn Nugent and Paul Matteson were there in The Ark and perhaps David Dorfman. I remember being in awe of them flying through the air and across the space. The uncertainty of what was happening, the importance of each movement and the courage it took to try things out for myself amidst my heros and fellow newbies. A bunch of years later it feels so different. Finally I am understanding the vibrant investigation of experimentation and how exciting it is when the unexpected happens. I feel like having children and also just being at the end of my 30’s has allowed me to let go of everyone else’s expectations and opinions of me so that I’m finally able to explore and be interested without thinking of others. Sometimes. It’s been a while since I’ve been to a Jam, but yesterday I found myself wanting to play with my new friends in a way that some old friends used to play. Connecticut’s Elm City Dance Collective taught me what I was relishing in last night: trust, play and surprise. I’m excited to find out that even in this still new environment I’m more interested in finding an unexpected conclusion than getting it “right” or indulging in every ounce of sensing what the other person’s weight is doing next. Or maybe I’m just impatient. Or as Josh has decided…”A bulldozer.” Maybe I’m finally ready to begin failing in order to find my edges. 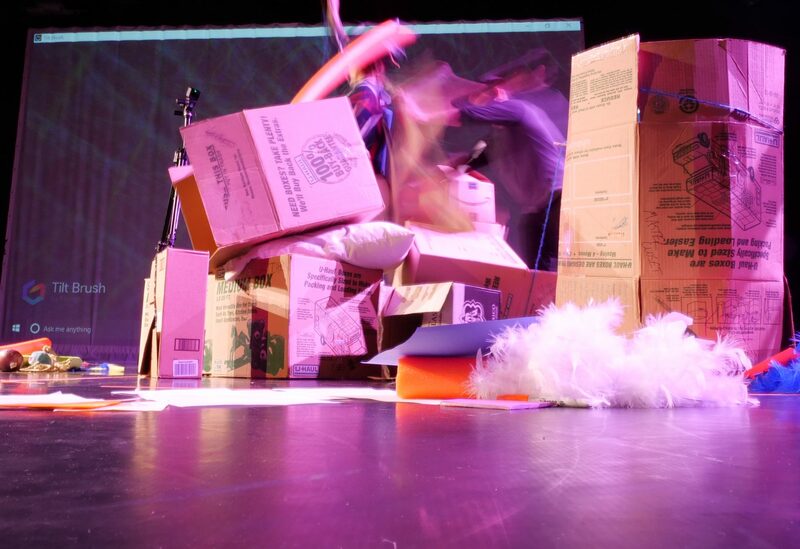 A lovely moment with Emily of spritely play, a sitting discussion with Bita, a bombastic topsy-turvy interlude with Josh, an interruption of KJ and Yildiz’s tender moment and a rolling play with an unknown mover stay with me. Someone in the class described her experience as a hug that will allow her to achieve all her dreams this week. Me too. Previous PostPrevious What is dance about?